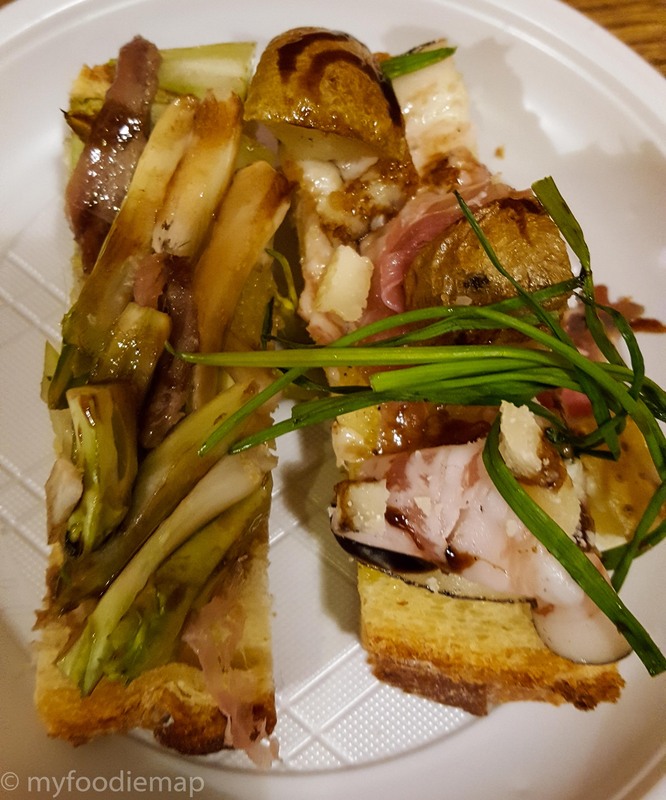 What Italians call apericena is the unique combination of aperitivo and dinner (cena in Italian) you only find in northern Italy. How to do it? Pretty easy: You enter a bar between 6 pm and 9 pm, order a glass of wine or beer and get some snacks with the drink or help yourself at the buffet without paying extra. This custom is highly appreciated by everyone – some use it instead of dinner, others as a starter before they go to dinner, it´s in any case a good opportunity to meet friends, have a drink and eat a snack in a casual atmosphere. The challenge is to find the best aperitivo bar for your needs. Students will prefer a place with lots of food, wine lovers will pay more attention to the quality of the wine and foodies will look for the best combination, so everyone in town has their favorite place. 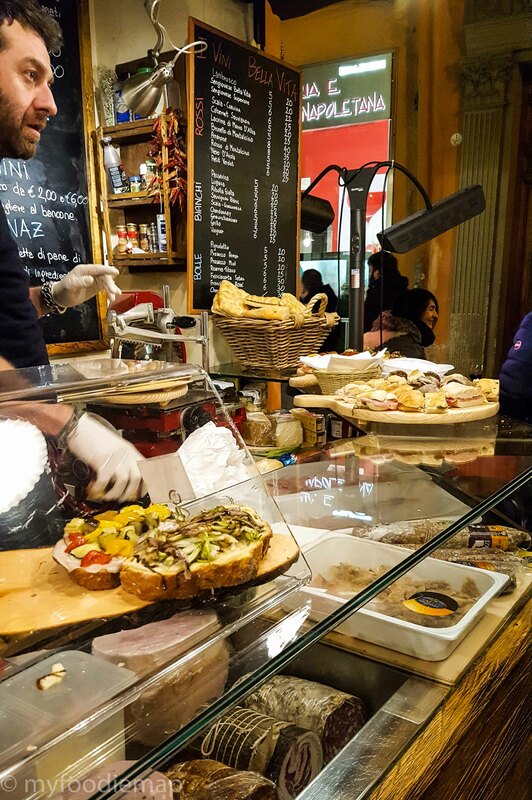 We put together an itinerary of three different bars, all off the beaten path and while we walk from one place to the next, you will get to see the historic center by night and learn a bit about the history, culture, and lifestyle in Bologna.